« Gently Down the Stream: How to be Sane in a Crazy World. The Power of a Pure Heart: Why Love is the Best Motivation. Today we ask that you examine your motivations for doing what you do. Life is very simple in certain ways. It is like an input/output machine. Whatever you put in, it puts out. The purest motivation for doing anything is love. 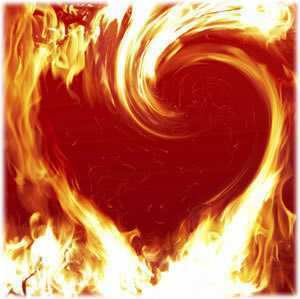 Whenever you undertake an action in a spirit of pure love, the experience and outcome will be very satisfying for you. There may be challenges, but even the challenges will be satisfying. Trouble arises when one’s motives are mixed. Generally speaking, doing things “for the money” does not create joy or satisfaction. This is not because there is anything wrong with making money. But the pursuit of money for its own sake is not an endeavor that comes from the heart. It is different if you are making the money with the intent of using it in a pure-hearted way — then the energy will be there. But money alone is not a strong motivation for doing things. Whenever your primary motivation is egoic in nature — when you do what you do chiefly for security, or status — then your life experience will feel very mixed and unpleasant. It is like operating a car on poor fuel, or eating a poor diet. Egoic motivations are not nourishing. They do not feel good. So the more time in your life that you spend doing things out of pure love, the better. This is like consuming the most nourishing food. You will feel good, and more and more goodness will be created in your life. Life is very simple that way.